It's part two of Megapod! Join Dominic and Chris of The SWU Podcast, Johnny and Mike of Rogue Won: A Star Wars Podcast for Winners, Steele Saunders of the Steele Wars Podcast, and Patrick Bonfrisco of KPFK Geek Radio on the Friday night/Saturday morning of New York Comic Con for some drunken Star Wars craziness! 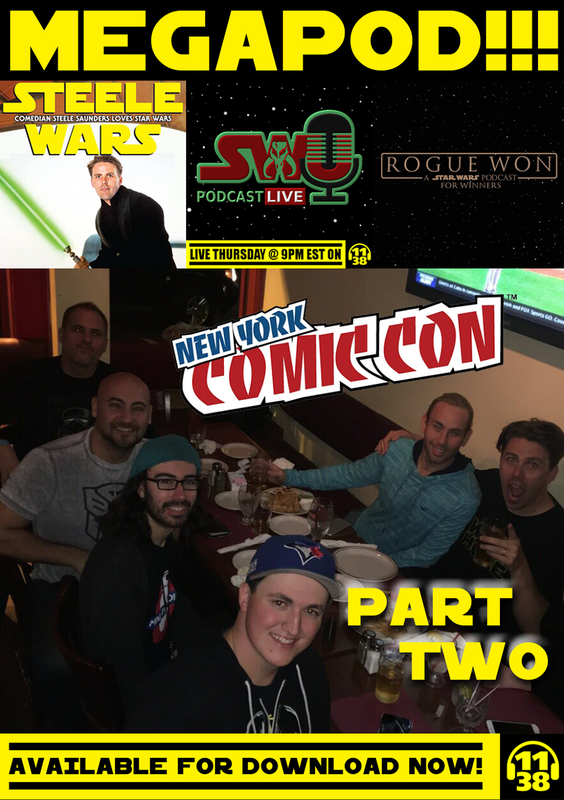 They share stories from NYCC, talk about what they saw from Hasbro and Star Wars publishing during the convention, and the lack of Star Wars Rebels at NYCC (and why that might be). All this an much more! Warning: This episode contains mature language and content! Listener discretion is advised.